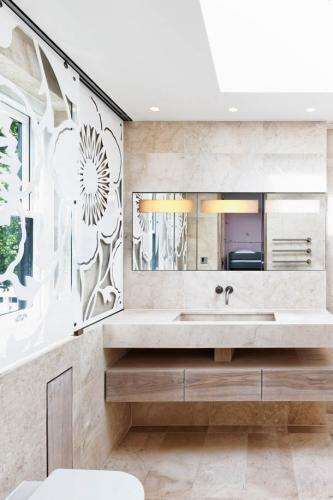 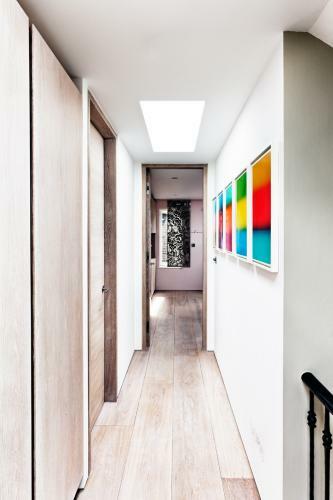 This stunning family residence is located in a Conservation Area near Holland Park. 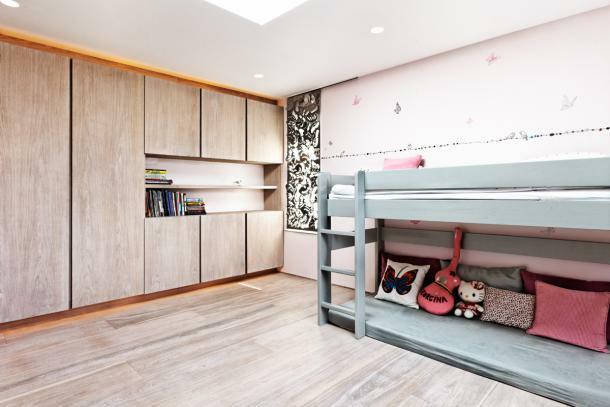 A reconfigured top floor provides a light infused area for the growing needs of the children. 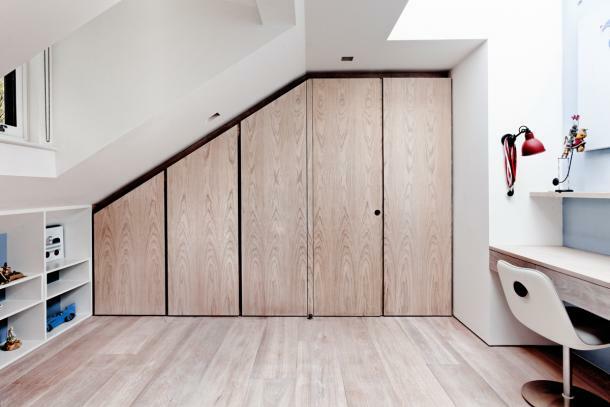 Two bedrooms with ensuite bathrooms were designed to flow from a central streamlined corridor that includes built-in wardrobe space. 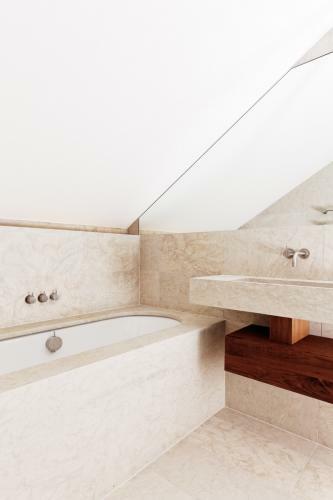 A beautiful series of skylights allows previously dark spaces to be well lit, while built in joinery conceals storage and one ensuite bathroom.